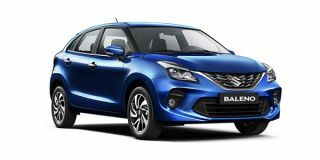 Maruti Baleno price in Mumbai starts from Rs. 5.55 lakh (Ex-showroom). Baleno is available in only 11 variant. Maruti Baleno's top competitors are Hyundai i20 (price starting at Rs. 5.50 lakh in Mumbai) and Maruti Swift (price starting at Rs. 4.99 lakh in Mumbai). Q. What is the best car between Elite i20 Sports Plus (petrol) and Baleno Zeta (petrol)According to 1) Rear seat comfort 2) Average per litre (Actual avg. in city) 3) Strong (crash test against Safety)4) Anuual maintenance 5)Service. Q. Which is the best diesel car upto 7 lakh?